The death toll from last week has climbed to 150 with more than 300 wounded, the Afghan president, Ashraf Ghani, has said at a peace conference in the city. The revised number makes the attack one of the deadliest in Afghanistan since 2001. A week of violence and protests cast a shadow over Tuesday’s long-planned meeting, named the Kabul Process. More than 20 countries took part, including some rivalling for covert influence in . After the bombing on 31 May, hundreds of protesters demanded the resignation of government officials. The government helped fuel public anger when , killing nine. On Saturday, of the son of a senate deputy speaker who was killed at the protest. Nearly 20 people died, according to local media and people who attended the ceremony. In front of an almost exclusively male gathering including representatives of Pakistan, India, Iran, Russia, China, Saudi Arabia, the US and various European countries, Ghani accused of waging “an undeclared war”. Ghani spoke in the midst of regional diplomatic upheaval. Tensions between arch-rivals India and Pakistan have run high since Pakistan in April. In May, more than a dozen Pakistanis and Afghans were killed in clashes on the two countries’ border. This week, over accusations of supporting Islamist terrorists. The last direct talks with the Taliban, Afghanistan’s main armed opposition group, broke down in 2015 after Taliban founder Mullah Omar was declared dead two years earlier. The Taliban called the Kabul Process “futile”. “Talks about peace during the presence of foreign invaders will not yield results and are meaningless,” the group said in a statement. The withdrawal of western troops from Afghanistan is a demand shared by Russia and several regional powers, which further complicates a political settlement. “The representatives of the countries who attended the conference have many differences. They don’t see eye to eye on the regional security problems, the Taliban and Isis,” said Javed Kohistani, a military analyst in Kabul. “We have had several such conferences of peace in the past. The result has been a piece of paper, which has quickly been forgotten,” he said. Tuesday’s conference did not include representatives of the Taliban. 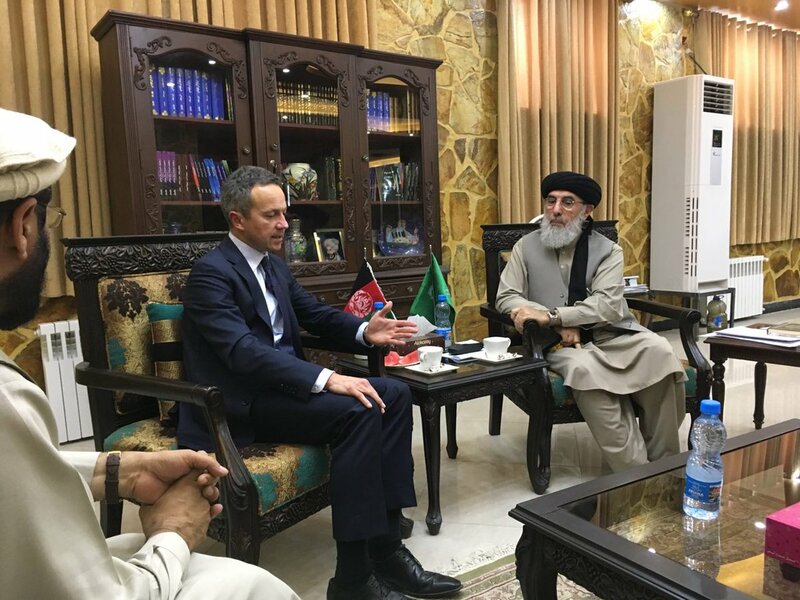 Also absent, in a sign of growing rifts within the government, was Ghani’s foreign minister, Salahuddin Rabbani, who last week demanded the resignation of the national security adviser Hanif Atmar. For security purposes, the government called a national holiday to clear the streets. Jets and fighter helicopters crisscrossed the sky. As the conference was getting under way, rockets landed on the tennis court of the Indian ambassador’s house. Last week’s police killings of protesters have prompted new rallies, with activists camping out in three different locations in Kabul. They were shielded from the view of delegates driving to the conference by shipping containers planted to block main thoroughfares. “The government is stopping young people, stopping democracy,” said Sharif Beena, a protester. Nazanin Atashi, 23, a political science student who spoke at a rally a hundred metres from the truck bomb site, said: “I came to raise my voice and tell the government and the people that I can’t bear it any more.” Atashi was the only woman in sight among about 100 protesters. “Because of the violence on Friday, most women are afraid,” she said. 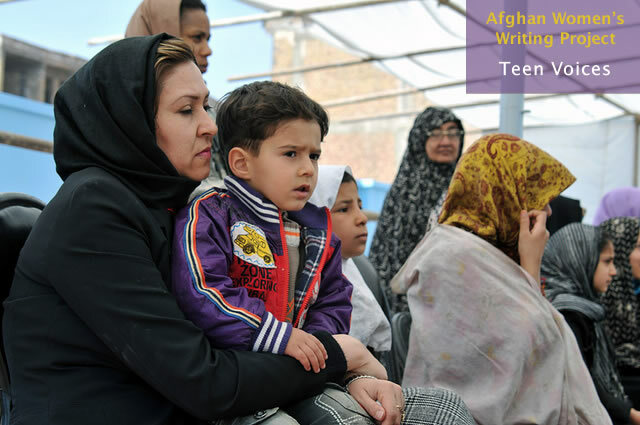 Atashi was travelling from Bamiyan to Kabul on Friday during the protests. “When we arrived, there was a war going on between the government and the people,” she said. While demonstrators encouraged the government to meet with regional powers, they said peace was unattainable as long as Afghanistan did not solve its internal problems. The way to peace, said a protester, Ahmad Fahim Yousefi, was for the government to reconcile with the opposition and civil society. The western city of Herat suffered a deadly bombing outside the city’s great mosque on Tuesday. After 3pm prayers, a remote-controlled bomb in a motorcycle detonated, killing eight and injuring more than a dozen, said the governor’s spokesman, Jalani Farhad.